Are you looking for a refrigerator repair? Are you living in Clovis? If yes, you are in the right place. Clovis Refrigerator Repair has been repairing refrigerators for more than 15 years so if you need refrigerator repair we are the best option you have. Just call us at 559 960 0798 and we will repair your refrigerator as soon as possible. We have same-day service and we will do our best to help you. Our technicians are skilled and experienced, in other words, they will fix any refrigerator problem. Additionally, they have all the necessary tools to repair your refrigerator. 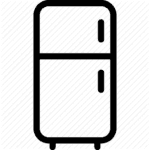 What problems does Clovis Refrigerator Repair in CA fix? We can fix every refrigerator problem. We have been in this sphere for more than 15 years and we have seen every issue that may occur with appliances. Some common problems which we have fixed before are in the following list. Call us and the best technicians in the area will be at your house in no time. All your refrigerator problems will be fixed and you will be provided with good tips on how to use it properly and make it last longer. Furthermore, Clovis Refrigerator Repair fixes every type and brand of refrigerators. Some are mentioned down below. Why is Clovis Refrigerator Repair the best choice?